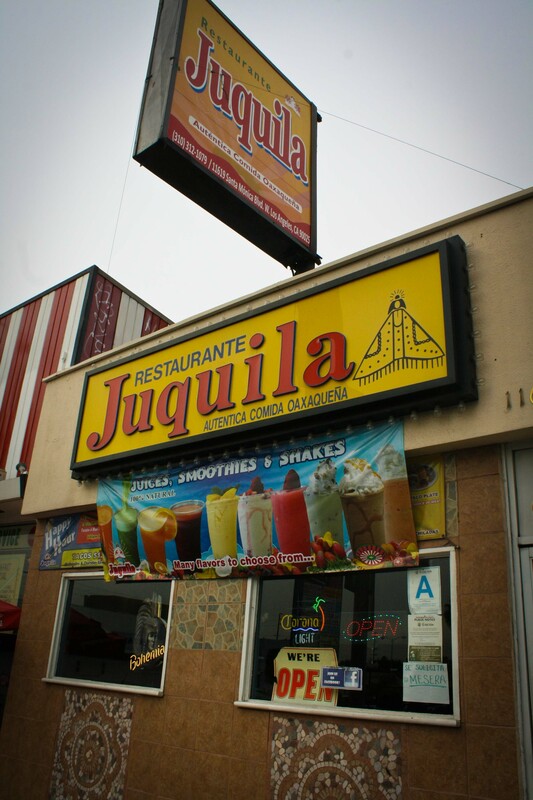 Juquila is an Oaxacan restaurant similar to nearby Monte Alban (West LA) with slightly better prices. The food is very similar. 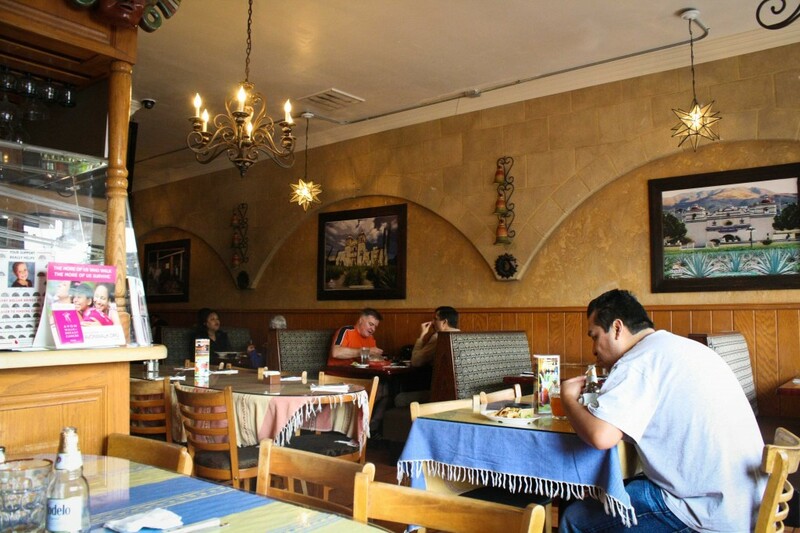 They have a few great $6.99 lunch specials and I think their best option is the Red Mole Chicken Enchiladas. 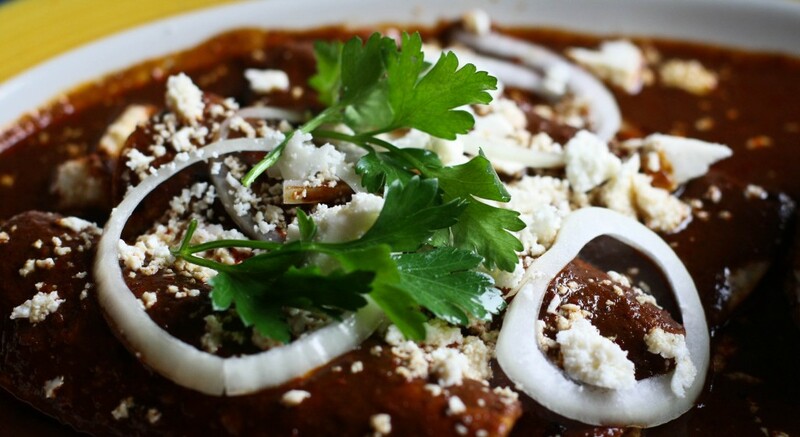 You get three decent sized enchiladas filled with shredded chicken breast and just slathered in delicious spicier-than-black-mole sauce and a molded lump of steamed rice. 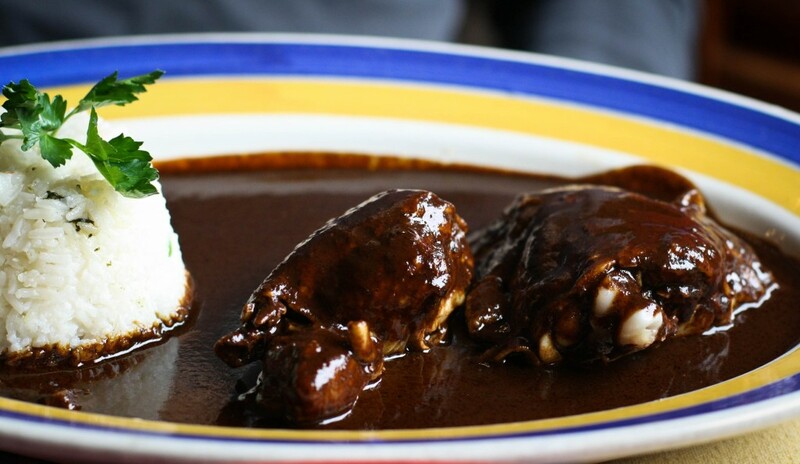 The Black Mole Chicken is not one of the lunch specials but a nice, somewhat lower in carbs option if you prefer a sweeter mole and don’t mind picking meat from bones. 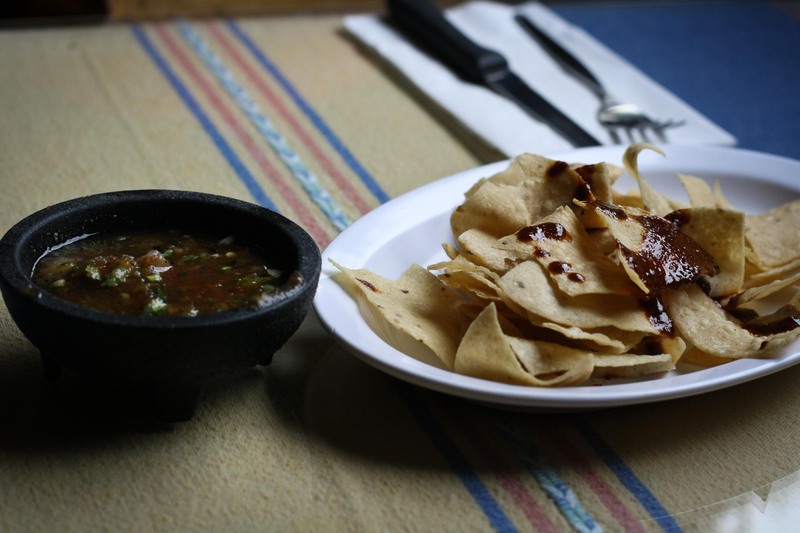 The moles here are just as good as I’ve had at other places. No complaints. Delicious and overall I would definitely recommend this place. 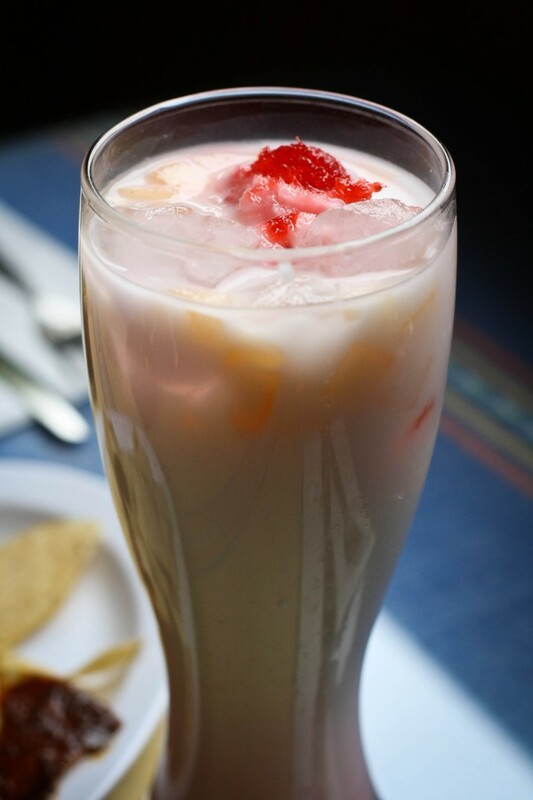 The Horchata is fun because they put this miscellaneous stuff on top that turns the entire concoction pink! Watch out fellas, you’ll soon be shamed by your beverage choice! I remember Laura loved this place, but I always wanted to go to the Vietnamese place next door!